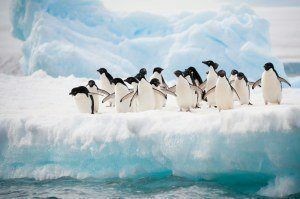 Google’s Penguin update is finally here and SEOs anxiously await results of the rollout that began last Friday, October 17. The Penguin algorithm, known unofficially as Penguin 3.0, was released without an official announcement nor any information on the update. It wasn’t until this morning that we heard from Google’s Pierre Far about what we can expect from this year’s rollout. Here’s the latest scoop on Penguin 3.0. This year’s Penguin update will impact less than 1% of English search queries, according to Google. Less than one percent is enough to affect the entire globe, so SEOs everywhere are expecting to get hit. In comparison to previous updates, Penguin 3.0 stands even with last year’s impact percentage of 1%. Penguin 1.0 impacted less than 3.1% of queries, 1.1 was 0.1% and 1.2 was 0.3% of queries. Penguin 2.0 was 2.3% of queries and 2.1 was around 1%. Other languages may be impacted also, but Google only reported on English users. Still, many SEOs are shocked that Penguin 3.0 is merely a refresh, and wonder why they’ve had to wait so long for it. SEOs were expecting to learn how to improve their sites with Penguin’s remastered algorithm. Instead, it looks like the next Penguin update will be some time from now. What are your opinions on the Penguin 3.0 “refresh”? Did you expect more from this year’s update? It is surprisng that we had to wait so long, Panda has moved to monthly updates so its reasonable for Penguin to be more frequent if not monthly then a few times per year at least, if you’ve made a big clean up effort earlier in the year then you’ve probably seen a reward but many cleaned up in September and seem to have missed out.